Garrett Temple scored 30 points and helped the Memphis Grizzlies set a pair of franchise scoring records in their 131-117 win over the visiting Atlanta Hawks on Friday. The Grizzlies broke the previous franchise record of 117 for most points scored in a home opener. They broke the franchise mark for points in a first half when they scored 77, besting the previous mark by three points. Temple went 10-for-11 from the field and 5-for-6 on 3-pointers and added four rebounds. Rookie Jaren Jackson Jr. came off the bench to add 24 points -- shooting 8-for-12 -- with seven rebounds in his home debut. Mike Conley added 16 points and a game-high 11 assists. Marc Gasol had 13 points and seven rebounds. 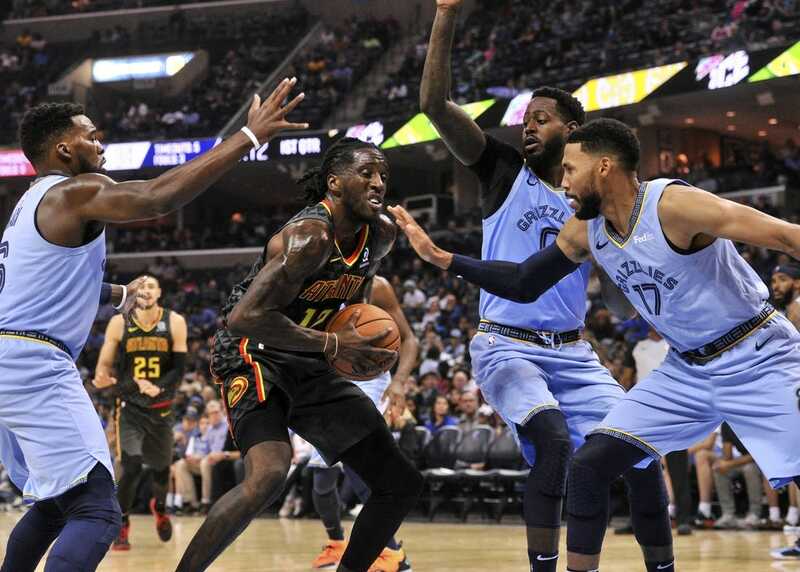 The Hawks got 28 points on 10-for-15 shooting from Taurean Prince and 20 points and nine assists from rookie Trae Young. DeAndre' Bembry and Miles Plumlee each scored 12, and Plumlee had six rebounds. Memphis had a hot start from the field and led 27-10 when Conley nailed a 3-pointer at 4:31 in the first quarter. The Grizzlies shot 64.7 percent in the first quarter. But the Hawks cut the lead to 37-33 when Young hit a 3-pointer at the buzzer. The Hawks' hot streak was short-lived. Memphis, which shot 62.5 percent in the half, outscored Atlanta 40-28 in the second quarter and took a 16-point lead at halftime. The Grizzlies had nine 3-pointers in the first half, and Temple had 20 points. If there was a bright spot for Atlanta, it was trimming the turnovers. The Hawks gave it away 24 times in the season opener to the New York Knicks but had only 19 turnovers against Memphis. Memphis' JaMychal Green, who was already ailing with a left knee injury, left the game after getting hit in the mouth and did not return. Both teams were coming off lopsided losses in their respective season openers.